U.S. District Court of Northern California Judge William Alsup has abandoned his search for paid journalists as part of the Oracle vs. Google lawsuit, while sticking the former with the court fees for the latter. Judge Alsup issued an order on Tuesday, vowing to "take no further action regarding the subject of payments by the litigants to commentators and journalists and reassures both sides that no commentary has in any way influenced the Court's orders and ruling herein save and except for any treatise or article expressly cited in an order or ruling." The order dates back to Aug. 7, when the judge demanded that both parties declare if they paid any journalists, bloggers or other such commentators. 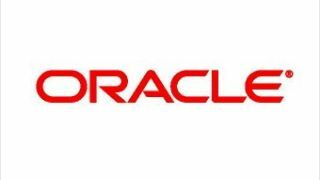 That disclosure outed only Foss Patents blogger Florian Mueller on Oracle's side, with Google insistent that it did not pay members of the media. With the issue of payments to the media now behind him, Judge Alsup turned his attention to who's on the hook for court costs related to the trial - and it's a bit of a mixed bag for Google. The search giant originally requested Oracle pay more than $4 million in legal expenses, but Judge Alsup denied $2.9 million, claiming "many of its line-item descriptions are of non-taxable intellectual efforts." Oracle is now on the hook to Google for $1 million to cover expenses for Dr. James Kearl, a court-appointed expert, according to a published report. A Google spokeswoman confirmed the $1 million fee was awarded, but declined to comment further.